It’s been a while since my last post as I’ve been a busy bee preparing for Quilt Market 2016 in Salt Lake City, which happens to be NEXT WEEK! Commence panic mode…Ahhhhhh….ahhhhhhh! Please find time to stop by my booth at Lecien Fabrics & introduce yourself! It would make me the happiest. Also, I’ll give you a gift for stopping by 😉 If you’re at market on Thursday, May 19th, I will have a school house presentation at 1:55 PM room 253A. First of all, that corset (above)! I will dedicate a whole blog post to that, but for now I had to share a picture. I just couldn’t keep it to myself! 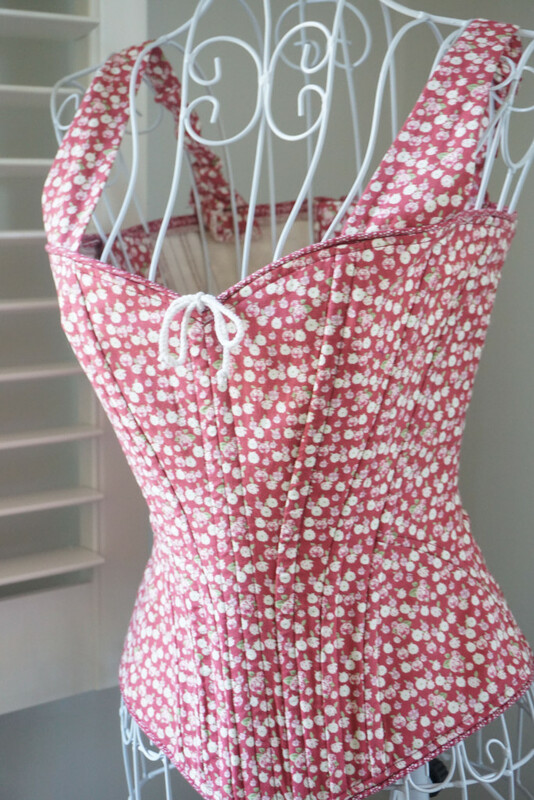 It was made locally by my talented friend Hilary who is the owner of Period Corsets. This is a custom, casual-style corset that can be worn with jeans. and believe it or not, it’s quite comfortable! My inner Wonder Woman came out when I tried it on. 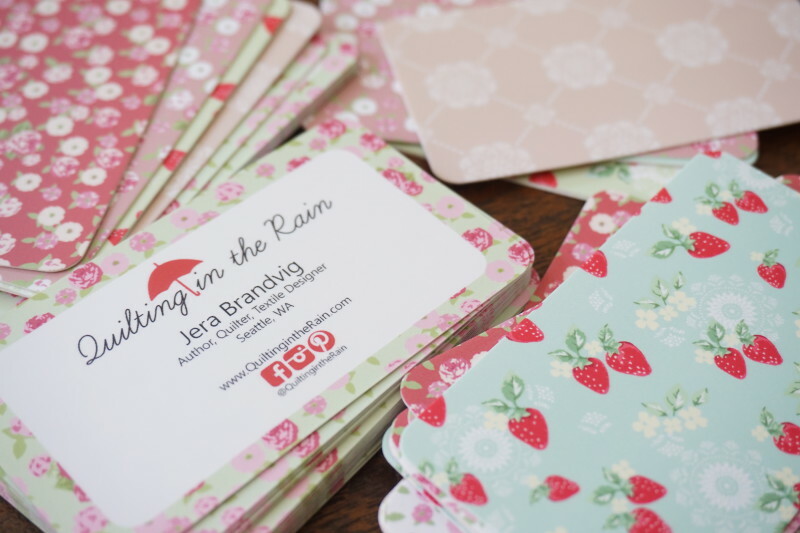 Super-duper cute business cards! I ordered these from www.moo.com. I had fun choosing various card backings using my prints. I’ve started another quilt as you go project, which I’m almost done with. I will share more once it’s finished. Also, I’m introducing a new QAYG technique which will be in book #2. The color schemes for this quilt started off as blues and yellows , but then I decided to warm it up with reds and dusty pinks. I hope you all had a wonderful Mother’s Day! These cute 2.5″ square mini charm packs arrived in my mailbox last Sunday, along with a jelly roll (aka sushi roll), fat quarters and charm packs. I just might be handing these out at my booth at quilt market! 😉 It was a pleasant surprise on Mother’s day. Okay honestly, I was squealing out of excitement from the moment I saw the box on my doorstep. Paige was looking at me with her head cocked to one side wondering what was wrong with me. This mini quilt will also have it’s own blog post dedicated to it (as a free pattern will be available – woohoo! ), but again, had to share a glimpse. This one was made by my talented friend Tiffany Behmer. Here’s the back of the quilt, quilted by my friend Monica Skov of It’s Just Sewing. Sharing another glimpse…this time of a beautiful tea towel! This is one out of a set of four. Made once again by the amazing Tiffany! 🙂 I am so thankful for her. Thanks for hanging out until the end =) Now for my giveaway! Update: This Giveaway has ended and winners contacted – thank you for your participation! Leave a comment to this blog post and tell me what you’d like to make using High Tea! I will choose a winner this Saturday, May 14th! 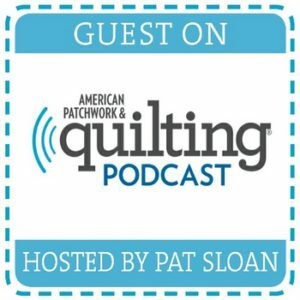 183 Responses to Quilt Market Prep & High Tea Giveaway! I would make a quilt with this beautiful fabric! ? I love this fabric! One of my daughters- the redhead- always loved Strawberry Shortcake and I have wanted to make her a strawberry quilt for her bed for a long time! I love these fabrics! They are so pretty! I would love to make a quilt hanging for my oldest niece. She now has a craft room in their new home and she loves these colors. It would be great to give her something special. I would make a quilt for my dining room table or a lap quilt for myself. I would make a table topper and matching placemats and napkins. I love collecting tea pots and miniature tea sets. This fabric would be perfect for me. Thank you for the chance to win. With a cup of Tea and your book for inspiration and will make the most beautiful project…..quilting in the (non-stop) rain! LOVE, LOVE, LOVE your new fabric collection! I would make your new mini quilt that you showed a quick pic of today. So cute! Have fun at Quilt Market – it will be a whirlwind blast for sure 🙂 Thanks for the chance to win your fabric – I’ve been coveting it each time you share it on Facebook! The Strawberries is my favorite I love love love! I would make a small lap quilt to go on my antique chair in my kitchen. You did great this is an amazing line! HELLO, so pretty! Would love to make a Mini Quilt Hanging for our kitchen! I do mostly baby charity quilts, so this would be a nice change to make something for our home. Thank You! HELLO, would love to make a Mini Quilt Hanging for our kitchen! Love your collection+the items you’ve made! Thank You ! I want to make place mats! I’m new to quilting and have promised myself I wouldn’t cut into gorgeous fabric like this until I had more practice. But I love these prints and it would be perfect for a feminine version of a Union Jack quilt for my mother in law. 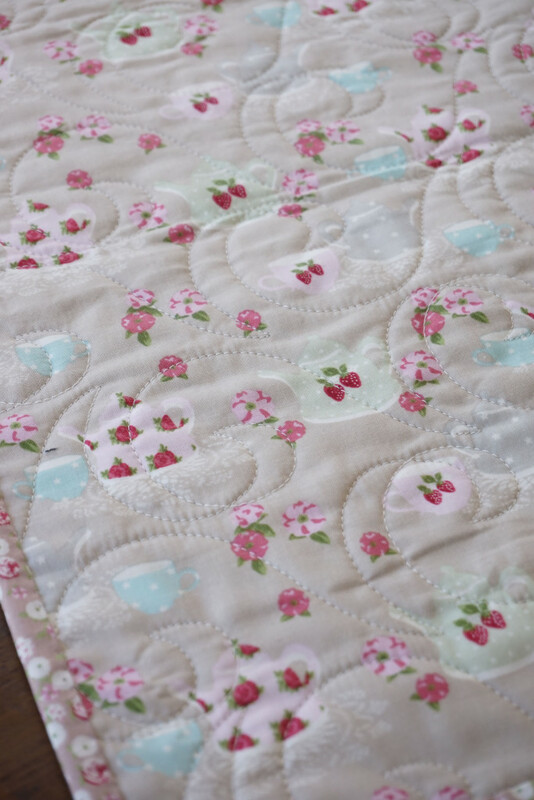 I love High Tea and really want to make a quilt from it for my month old granddaughter! 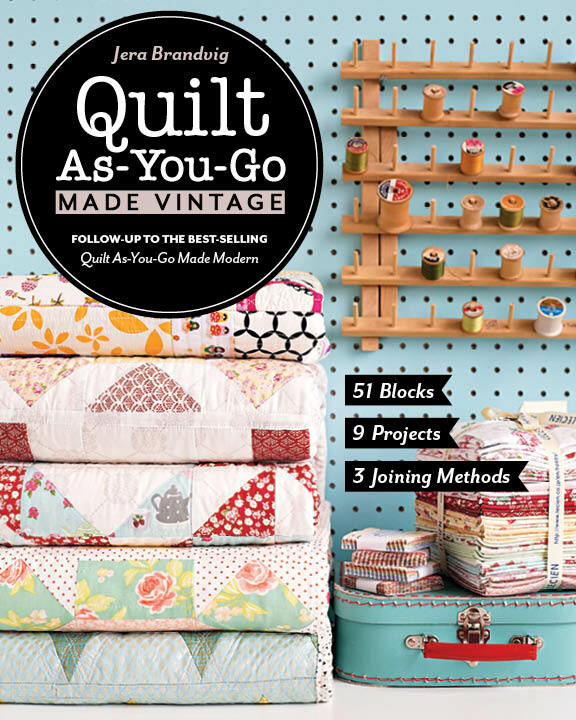 This is such a sweet little quilt kit! Timbersmith63 at dot com. Ooohhhh I will make all the things. Good to the last scrap with this line ?? I’ll definitely have a quilt for me (I don’t care if it’s selfish) and I’d love to make some kitchen items with it. Thanks for another chance to win some! C’mon August! Oh my heavens, your business cards are so adorable! I guess my project of choice would be super cute napkins……or a sewing machine cover……or a new cover for my ironing pad!! I would make a quilt for me or a tablecloth and placemats. Wish I could go to quilt market. Oh my goodness! This kit is so cute! As a mother of 3 boys, I don’t have many opportunities for girly things! I would love to make a quilt just for me–to cuddle up under with a good book! Great giveaway! I think my mom would love a mini quilt. I have just started quilting recently and have sent her a couple of small things but it would be fun to send her something so special. I just love this collection and everything you make! Sure would love to make a quilt as you go with this! Have fun at market! LOVE this line! Laden with nostalgia and romantic – but not so much that my husband wouldn’t also love it. I would make a quilted table cloth for the summer that would double as a lap quilt in the winter. Well where do I begin? I think first off I want to make your cathedral windows QAYG. After making a bag with your technique( I gifted my niece) I’m in love with the style and your High Tea is perfect for that and of course a matching tea cozy ? Your so generous to offer a giveaway especially how busy you are before market ? Thank You. ??? I am I love with your fabric! I really want to have another baby and I’m dreaming of a little red headed girl. If my dreams won’t come true, I’ll still make the quilt for my next niece to arrive. Thanks! I plan on making your tiny tulips quilt even if I don’t win, but I’m still hoping I do! Love the prints! Would love to make a table runner for my best friend ? I would make a table runner !! I love your fabric!! Such beautiful fabric! I would make a sweet wall hanging for my quilt room – which is the only girl-zone in my home full of sons (and hubby)! I absolutely love this fabric and I would love a quilt thrown on my bed made in this adorable fabric. I love it. I would love to make a lap quilt with this beautiful fabric. Gorgeous collection and it would make a lovely lap quilt… I know that my daughter would love it!!! 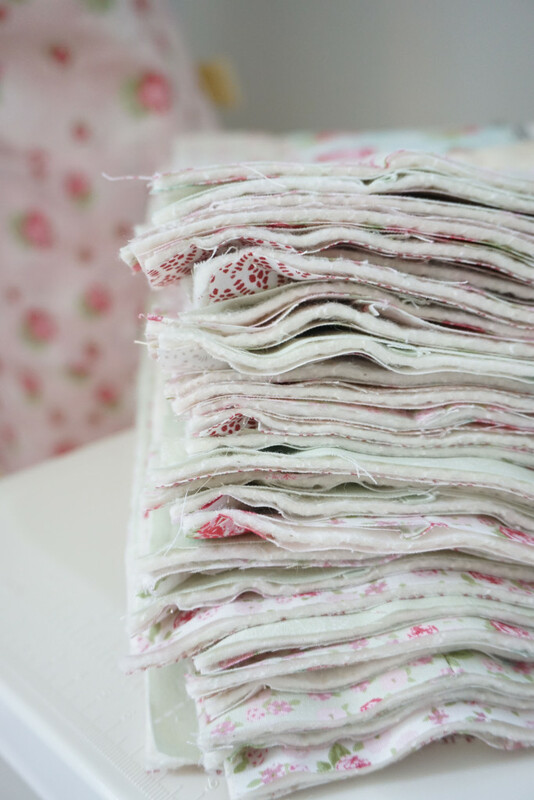 Would love to make a mini quilt with these beautiful fabrics! Oh my! A quilt is what i usually make with such lovely fabrics but an apron, a bag or tea towels would sure be lovely as well. I love your fabric! Can hardly wait until August. I have many plans swirling around in my head! Your fabric line is truly lovely and I look forward to it arriving in a shop, near me I hope. Thank you for the opportunity to win. I would love to make this for my 13 year old daughter’s room as the colors would be perfect. I live just north of Seattle near Woodinville! I would love to win this awesome prize! That mini is so cute! This fabric collection is really beautiful!! Delicate, romantic and sweet! I love it!! I would make a quilt that would be mine and mine alone!! I would have to make a tea cozy and some sweet tea towels too! I Thanks for the giveaway! I would definitely make a pretty quilt!!! I have been ogling over your fabric since you first introduced it! I too quilt in the rain – I live north of you in Lynden. I would love to make a pretty lap quilt for myself! I’m totally in loove with High Tea. I would make a beautiful quilt! I would love to make a Tiny Tulips lap size quilt for myself, or maybe a mini quilt to hang in my bedroom,or some lovely appliquéd tea towels , oh the possibilities. Your fabric line is just gorgeous!! I love anything Lecien!!! That Tiny Tulips patterns is so cute! Thank you for this generous giveaway!! I would love to use High Tea for a patchwork tote bag to give to my mother, a dedicated tea drinker! Your new fabric range is absolutely beautiful cant wait for it to be released? i have a pattern that i have had for years with little stitcheries of tea cups and this fabric would be perfect for this quilt. Thanks so much for your generous giveaway? This fabric is so cute! I love the strawberries and would make a super cute table topper for my cottage home with this fabric.Thank you! So lovely! Beautiful fabric and I can’t wait for it’s release! This fabric is sew adorable! Anything made from it would be gorgeous! Thank you for the opportunity to win. I would love to make a baby quilt! High Tea is so beautiful- I just love the color choices and how they work together. I think a spa type robe and PJ pants would be really fun to make. Love this fabric, I would make a wall hanging or quilt. 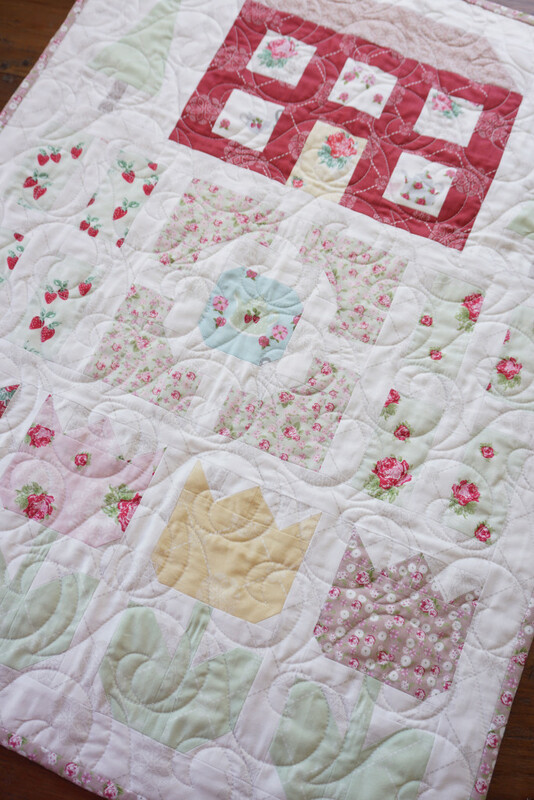 This collection is the sweetest and would make the most adorable baby quilt!! Thanks for the chance!! I would love to make a quilt for my daughter’s room. So beautiful! Ooh! I love the strawberries! I’d make something for the kitchen. Maybe a mini quilt and tea cozy! Love, love this fabric. I see a beautiful any quilt in it. Tulips! It would have to be a tulip wall hanging. I live in Fl so it’s my only chance to have tulips. I would make a new table runner for my dining room. Your quilt as you go made modern is what got me & my 9 year old finally brave enough to quilt & we’ve been hooked ever since. Thank you! So me & my Emma would make the tulip quilt for her bedroom! When I was young my mother painted strawberries on just about everything and we always had strawberries in the garden. My Grandmother (my mother’s mother) collected tea cups. Mom and Grandma have both passed away now and I would love to use High Tea for a quilt in tribute to both of them. Thank you! I would stash it in my fabric cabinet until just the right quilt pattern either came along or struck me! My girlfriend designed a quilt of tea cups and saucers, I think High Tea would be fitting to use. ? I would have to make tea napkins and table runner for tea with my daughter and granddaughter! I❤️ this fabric! Jera, I love your mini quilt with the house and garden, just adorable! My youngest daughter had always been all about pink! She’s almost 21 and she STILL loves pink! I think those cute strawberries and posies and tea time pics are right up her alley. I definitely would have to make a Mini quilt for her. Love that corset! I’ve made a couple QAYG quilts from your book but I need to make some placemats and would love to use your fabric! That corset! Oh la la! I’d have to fondle & gaze at the fabric for a while until inspiration strikes. i will made a quilt, hanging on my new house! I’d make a quilt just for me! Can’t wait for High Tea! This is such soft sweet fabric it would be lovely on my bedroom dresser. Then again I see a small quilt hanging on my bedroom wall. Just discovered your blog! New to quilting and loving it!!! I would totally love to use the fabric to feed my new addiction. I would love to make that mini for my daughter to use for her dolls! Can’t wait to get these fabrics at our LQS! 1st will make a quilted tablecloth. Those colors will be so cool on a hot summer day! I am so in love with these fabrics. Can’t wait to get my hands some. I would make a mini quilt and lap size quilt. That corset is amazing! And your fabric line is so lovely. As I looked at it, it reminded me of my wedding colors 30+ years ago. I’ve saved my handmade ring bearers pillow; and I plan to use it, my veil, and my wedding gown (yes, I’m going to cut it), along with wedding photos printed on fabric to make a wedding quilt. I think “High Tea” might just fit right in with my design I have in mind. If not, I’ll finally make ME a lil quilt. Thank you for sharing your creativity and enjoy that corset! Very cute fabric … I think i woilc make a table runner … looking forward to book number two as well. This set is beautiful. I love the color scheme and love the strawberries. I would make a table runner or maybe a picnic blanket. Hello Jera 🙂 of course i would love to make this mini Tulip Quilt, as well as my Granny’s Elephant Toy, and perhaps a quilt to match it. I would hope to give it to my Granny as a gift, in thanks for the wonderful family tradition. 🙂 🙂 Have a super day and all the best for Quilt Market! Oh Jera – it is just so beautiful! Reminds me of special times in Ontario sharing a cup of tea every afternoon with my grandma in days gone bye, bye, bye…. I’ll be making a big enough quilt to cover my bed with this line. thanks for the great giveaway chance. I’m jwhit218 on IG. I am about to retire and we just bought a new home so I would make a quilt upon which we could have high tea every afternoon or any old time we feel like it. I am finally getting my very own dedicated seeing studio. Yeah!! I would make an apron dress – or two – to my cute little niece who just turned one. Oh my. I just love these soft colors and prints! I see a quilt, maybe a vintage pattern, made from these. So, so pretty! Love that mini quilt! Such pretty fabric! i would love to make a new cosy for my teapot. This fabric would be perfect. I have a quilt pattern that has plates and cups on it, and I would love to use your fabric for this. It would remind me so much of my mother’s china cabinet and her two special tea pots. Thank you for this giveaway chance! 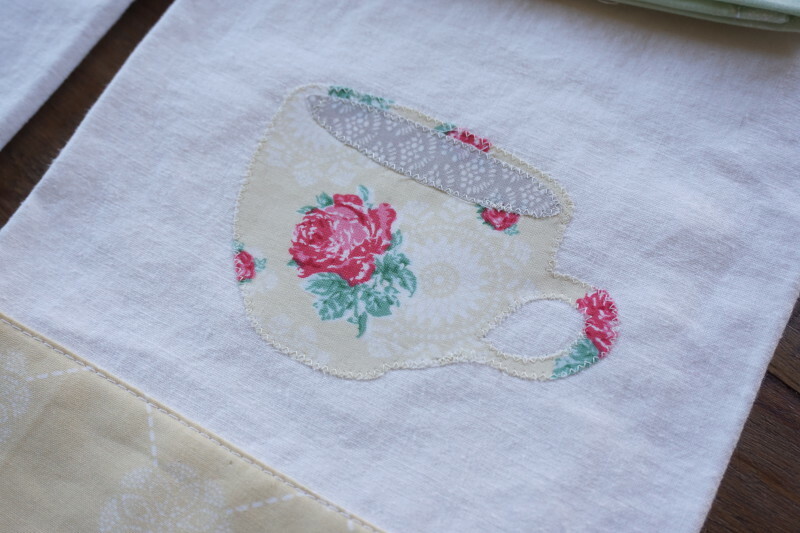 I would love to make a wall hanging with tea cup appliqués similar to the one on the tea towel in your post. 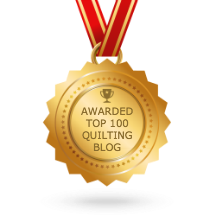 I would hold onto it until the tutorial for that mini quilt is posted! I think it’s so cute! I love your fabric line and can’t wait to get the second book (I have your first one)!! I want to make the mini quilt with cups and tulips and remodel my kitchen around it!! Love the soft, romantic, flirty look of these prints and colors. So excited to see this!! God Bless You!! The fabric is so summery!!!! I would love to make the tulip mini quilt for a table topper… Thank you for the chance to win!!!! Oh my! The fabric color scheme is beautiful. Very calming. The mini quilt is so special; I would probably turn it into a wall hanging for my niece’s room. Very genrous of you to give us this chance to win such a beautiful bundle. 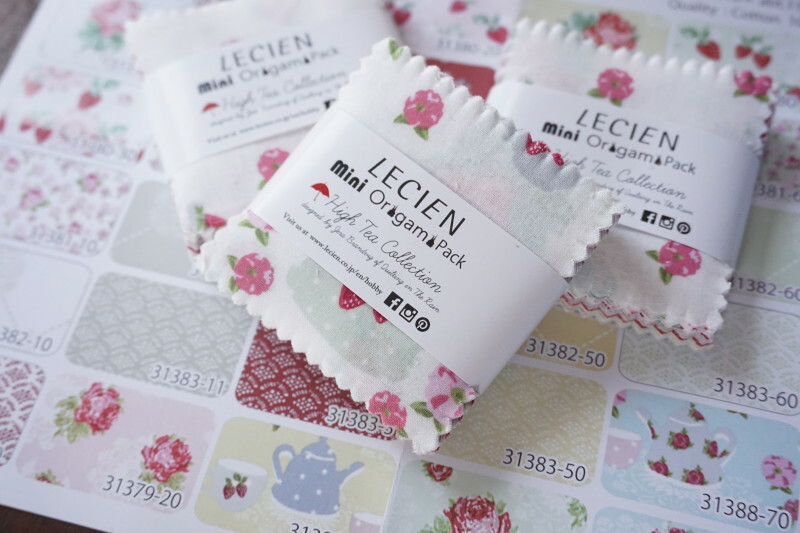 I love the Lecien fabrics and would make some summer dresses for my granddaughters with it! …..Inner Wonder Woman-very funny! I would make a small lap quilt for my aunt who likes to place a small blanket on her lap to keep warm. I love the corset! I’d make a baby girl quilt with your gorgeous fabric. Thanks for the giveaway. I would make a quilt. I would make a quilt for my new granddaughter. High Tea looks like a beautiful collection of prints. We have a dear friend getting married. This would be great to make something for them. I would love to win this fabric. I visited Victoria Canada many years ago and had high tea there. This fabric would remind me of my visit. Good Morning Jera! I am beyond happy I found your site, your book, and the fabric!!!! Your sensibilities speak to my heart because they are gentle, comforting and beautiful. I’d love to make pillows or a lap quilt to just look at and remind me how blessed I am. Thank you. What a beautiful fabric collection! I would make a lovely quilt for my sister. Sew pretty. It reminds me of a summers day. I would make a lap quilt. I would love the fabric to make my middle daughter a quilt – she’s been bugging me to make her one. Thanks for a great giveaway! Your fabrics are beautiful. I might make a handbag for myself out of these great fabrics if I win. Fingers crossed. Your fabric is so pretty, if I won I would have to make a baby quilt with this fabric, and it would go to my daughter who is expecting her 1st bundle of joy in August. I’d make a very pretty quilt! A lap quilt for ME! Love the strawberries print, as I’ve been making jam for almost 40 years as taught by my great-grandmother. Oh my gosh – what cute fabric – I can see it already as a tablecloth for my kitchen! Thanks for making this giveaway uncomplicated! So many of them are. I am loving high tea and would love to make a swoon quilt with it! I have always loved strawberries in my kitchen décor. I would make a table runner, placemats for my kitchen counter, maybe a little curtain, I need new potholders and covers for my appliances. Thanks for the opportunity to win. I love the delicacy of your High Tea line. I would make the Tulips quilt or a spring looking quilt for my grandbaby. My other thought is for a runner for my granite counter top when it isn’t in use. It’s dark blue and your prints would look lovely against it. Oh how I wish I was young enough still to wear that corset!!! A quilt with this is a must do! Strawberries, tea, pretty, soft colors! I must make a quilt and matching pillow cases for my bed whether I win or not. Thank you for this beautiful design! Lovely fabric!! I would make a mini or two, so I could share my good fortune! Good morning! Wouldn’t these fabrics look stunning as embellishments on garments…maybe as piping around the neckline & arms of a denim summer dress, or as ruffles on a baby dress. I would love to make a quilt for my granddaughter, she loves strawberries and all the colors are so soft and beautiful. I bought your tulip wall hanging pattern when it first came out, that is what I would make. I also want to make a quilt with your fab fabrics just for me! Your High Tea fabrics are so beautiful. I would make something for one of my granddaughters with this lovely fabric. I am working on a quilt for each of them and they would all love these fabrics. I love the High Tea fabric. I would definitely make a gorgeous quilt, or the napkins, or a table cover. It is so hard to decide. Everyone here would definitely have their own opinion. Just beautiful! Really like High Tea! Looking forward to it. I would make some summery tablerunners. Hope to eventually make a quilt with it. These are beautiful fabrics for little girls. I would gift this to my daughter who is just getting back into quilting after a ten year absent in which time she became a chef, got her masters in Nutrition and became a Mom to three children two of which are girls. This would make a lovely quilt for those girls. I absolutely adore Tiffany’s adorable little garden quilt and would love to make one of those. The corset is gorgeous and the mini quilt is beautiful!! I love the soft feminine colors of High Tea! I would love to make an apron or some sleep shorts/pants. Thank you! I love this fabric line and I would make a table runner and placemats for my mother-in-law. I think I would make a darling little girls quilt from it. So lovely. Or make a table cover. My granddaughters have lots of tea sets and love having tea parties. Love the corset by the way!! So beautiful! 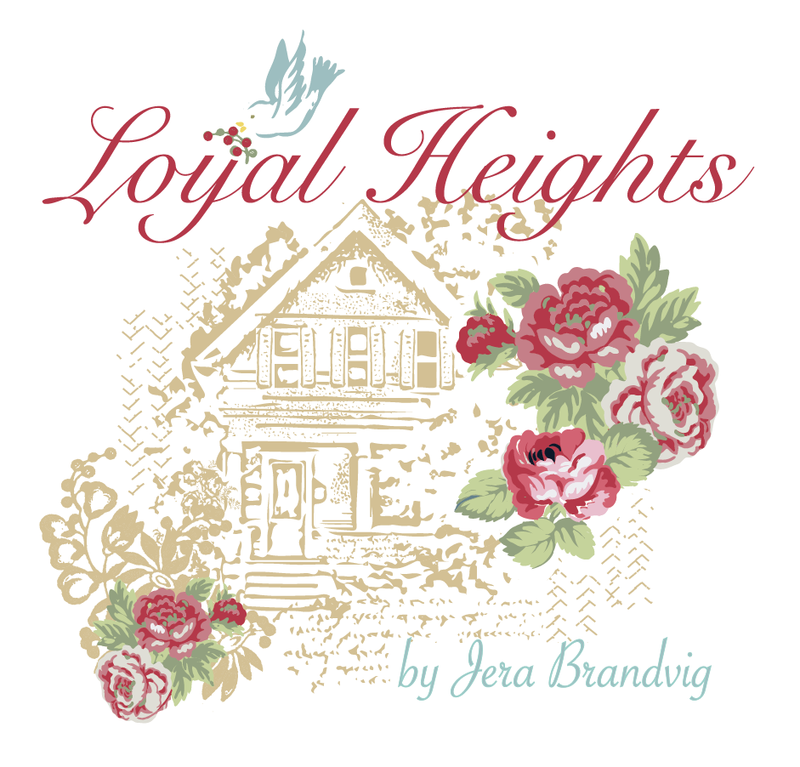 I love your High Tea fabrics and look forward to the August release! I would use them to make your quilt pattern Tea on the Terrace. What lovely fabrics! So clean and fresh looking. They spoke to me right away and they said cushion. A lovely little patchwork cushion for my sewing room chair. And maybe a footstool to match! High Tea is beautiful. These would make a stunning table topper or wall hanging for my kitchen. Have fun at Quilt Market. Beautiful! Would make such a beautiful quilt as you go quilt. I am going to be grandma to a baby girl this October and I would love to make matching patchwork aprons for her mom and me and a bib or 2 for her. Fabulous colors! 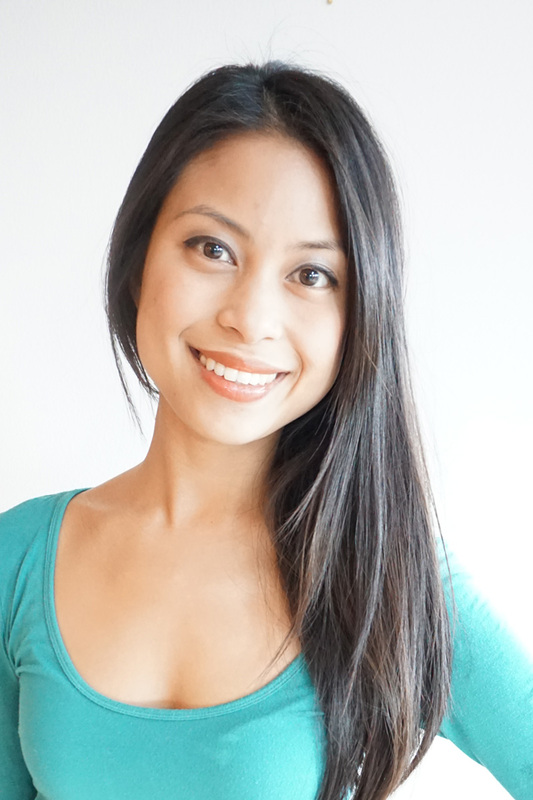 New to your blog, but so very excited about your creativity and fabric. This is adorable for a little girl or a girly baby quilt – and I need to make four of those this summer! I love your fabric collection, its just so pretty! I would make a gorgeous quilt and some matching cushions and bunting with this. Thank you for this amazing giveaway! Beautiful fabric! You are very talented. I would make a quilt for my dining room wall and/or a table runner. Aprons too! I’d love to make a table topper with your gorgeous fabric line. Thank you for the wonderful giveaway. Always enjoy your posts! 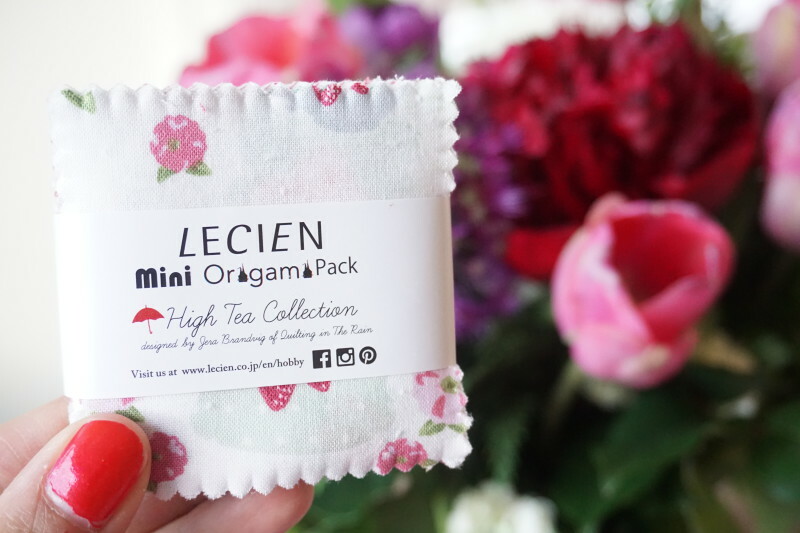 i LOVE your fabric line High Tea. Would make a wonderful table topper for my kitchen table. Can’t wait for your 2nd book. Love, love, love High Tea! That tea towel won me over, I would definitely do some appliqué. I’d like to make some summer clothes for my granddaughter . I would love to make some summery pillows. Would love to make a picnic quilt to hold tea parties with my beautiful granddaughter, Lily! I can’t wait for the collection to come out! Love your new collection. 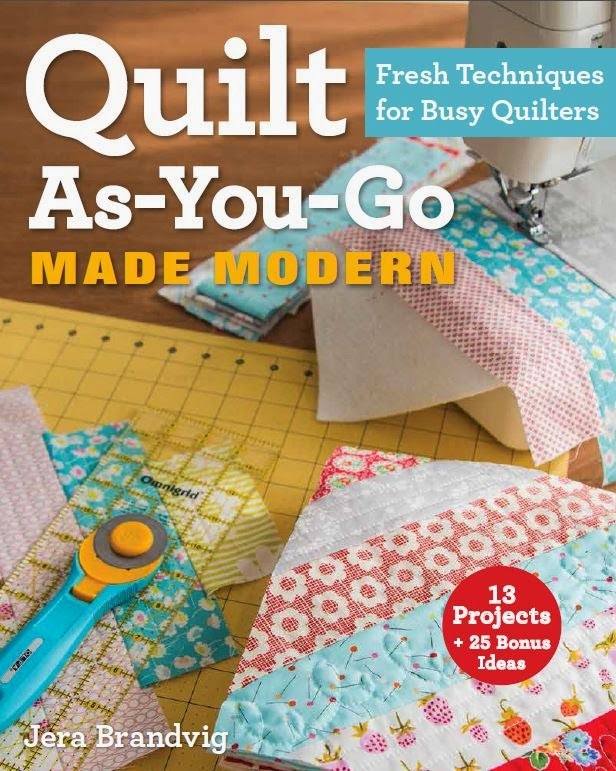 I am new to quilting and I purchased your quilt as you go book just recently. I would love to make your Solstice Parade with your new fabric!! Just adorable! I have a vintage style home and I can also see myself sewing some tea towels!!! Thanks again. Oh and love your blog! These would make a beautiful Log Cabin quilt! This fabric is so charming, it makes me want to run in the kitchen and bake some scones. I think I would fashion an apron if I were to win. Thanks so much for your generousity! Absolutely love the fabric!!! Congrats to you. I’m not sure what I (will ?) make when I win but I can’t wait!! 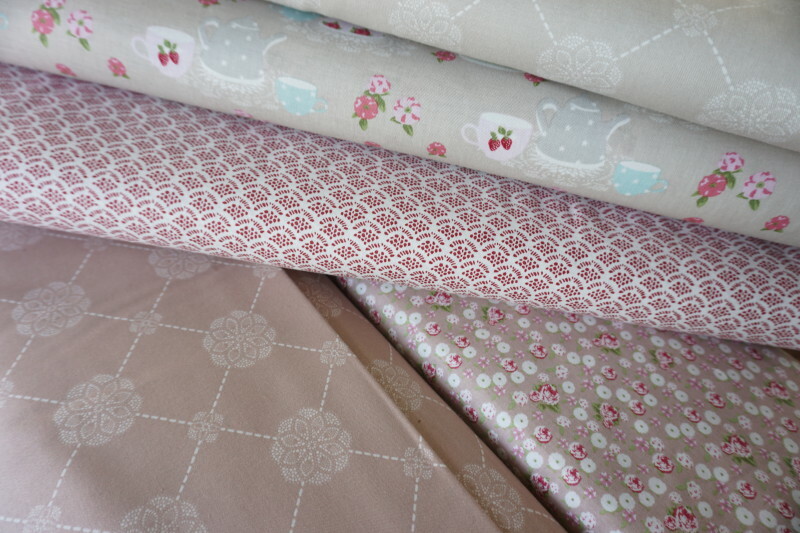 I think the High Tea fabrics would make a lovely spring or summer table runner. Or a little summer tote. I think I’ll make an Irish chain quilt because I think these fabrics would lend themselves well to a very feminine version. I also plan to make a tote bag! These would make a lovely table runner and other tea items for my lovely new dining room table! I can see a real cute summer quilt for my Grand Daughter’s bed. I would love to make up your tulip kit first and then make a table runner! When will we be able to get your fabric? and where? The corset is gorgeous! 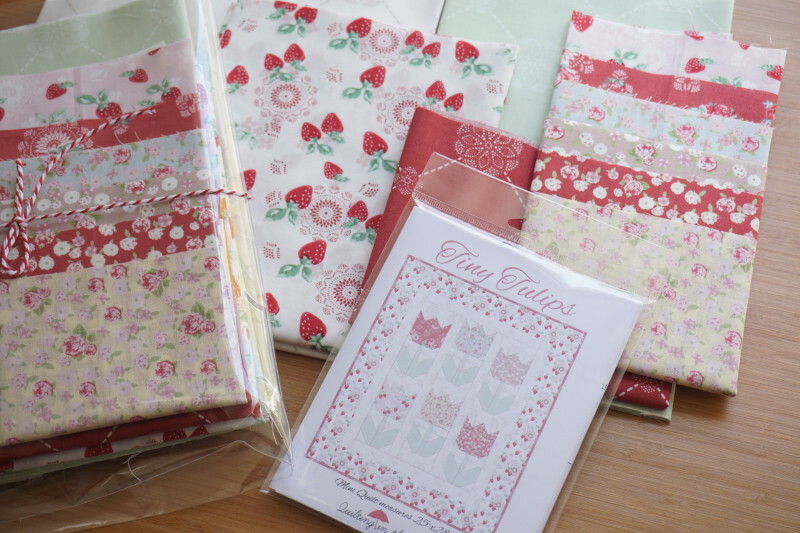 I would make a goody goody binding bag with your fabrics they are perfect for it! I would love to make a lap quilt with this wonderful fabric. I have loved these fabrics from the moment I saw them!! Sooo pretty! I would definitely make your cute mini quilt! cute, cute, business cards!!!! I would make a wall hanging of tea cups and possibly saucers. I think that would look so pretty hanging in a kitchen. I love the old fashioned, delicate tea sets. I would make a matching table topper and throw. Love this collection. Your first book is great can’t wait to see this one. Good luck at market. I would love to make the crochet high tea quilt I really love it !!! Beautiful fabrics and I think a table topper and napkins for high tea!! Maybe some mugs rugs too!! Lovely fabric line! I’d like to make a table top (or a quilt) – thanks for the chance to win and thanks for sharing all your creativity! I would like to make a baby quilt with this beautiful collection. I would love to make the hexagon tea trivet and on the spot trivet from Sweetly Stitched Handmades! Lovely collection- I would like to make that pretty mini. 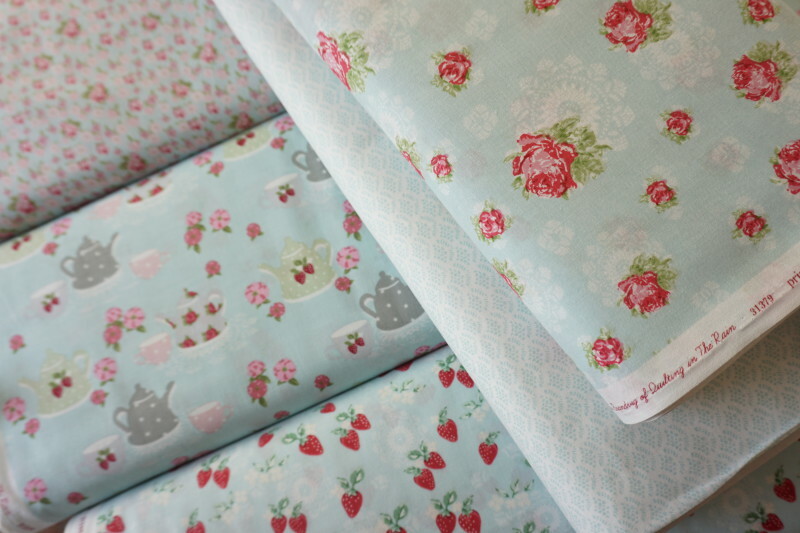 Beautiful fabrics – think I might make a new tea cozy for my teapot! I would’ve love to enter but too late, but since i don’t know when I’ve wanted to creat a beautiful shabby chic bedroom with these colors. I am going to redo all my furniture and this fabric would have been the perfect quilt for my queen size bed. I just wish I’d known sooner. Oh, darn, is the giveaway over? I’ve been waiting for this fabric to hit the shelves! I love it!